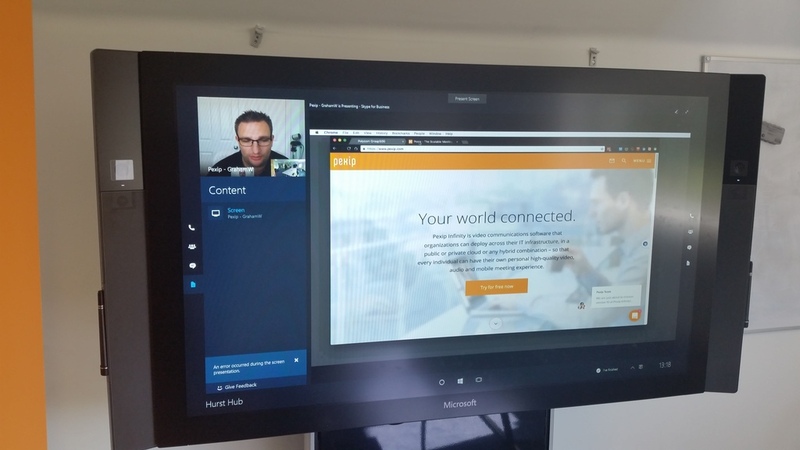 and the view from the Surface Hub…..
With Pexip, it just works. And the view from the Surface Hub…. 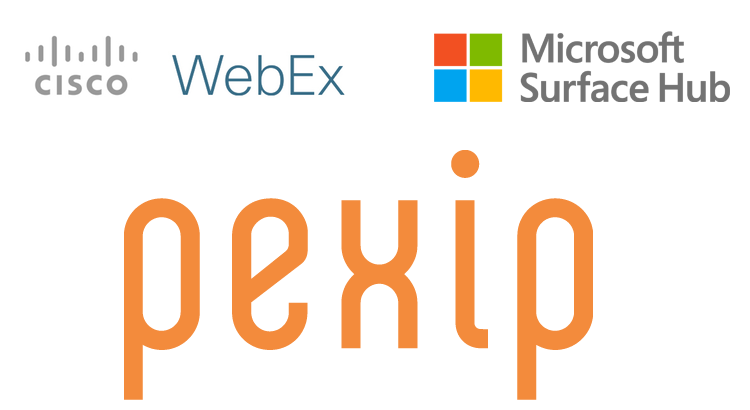 However, sharing the Whiteboard and anything from Surface Hub is supported via Pexip Infinity. 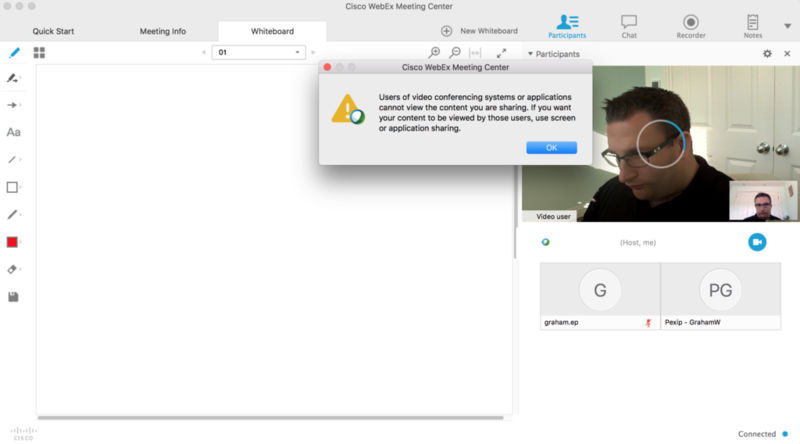 So I’ve had many questions on whether the Surface Hub can make a call into a Webex Meeting. 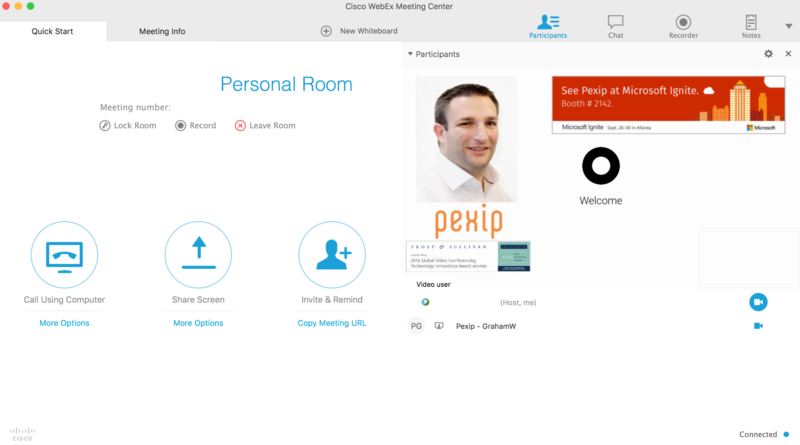 If your Webex account has a SIP URI such as grahamw@company.webex.com then it has a SIP compatible Personal Meeting Room/CMR. So what does it look like? 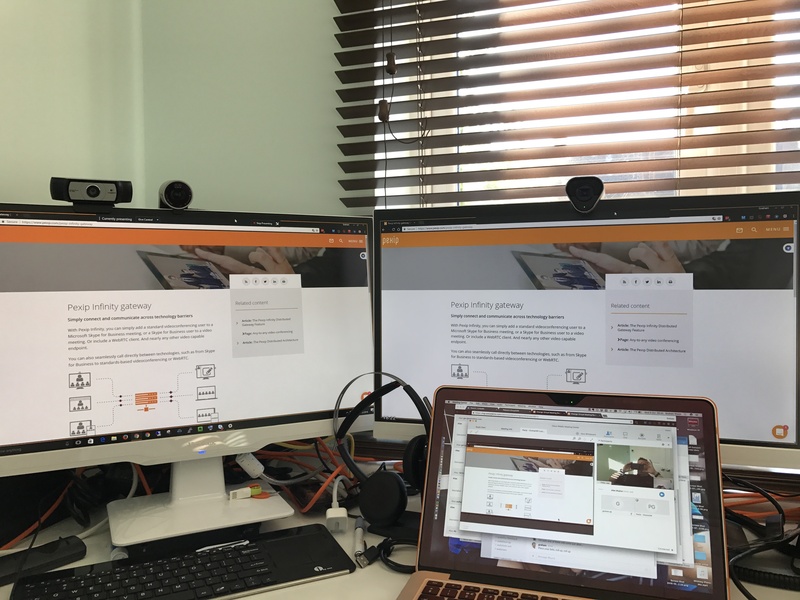 Have a look below at the screenshots and photos to see it all in action. Let’s add a Skype for Business client too – receiving content too from the WebEx client. 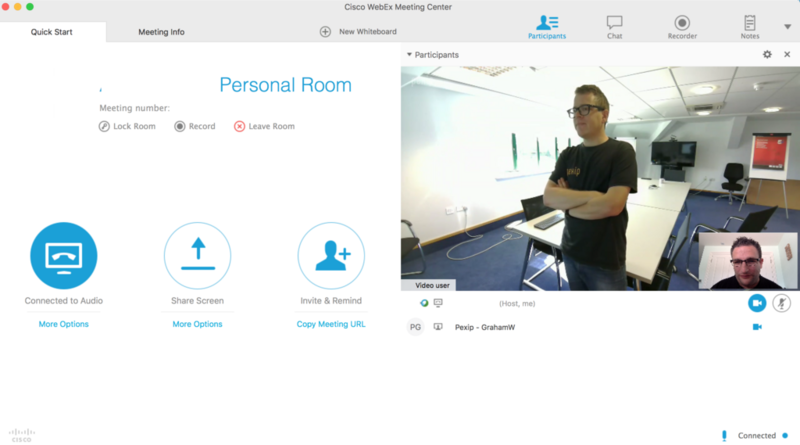 Oh and let’s throw a Polycom system in there too. 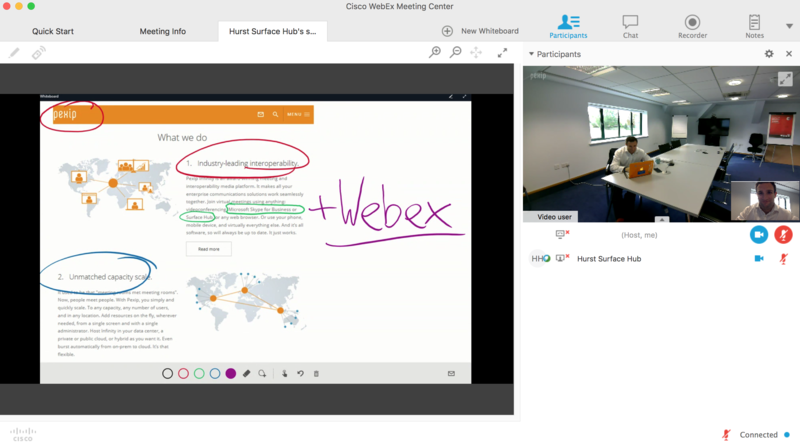 Next up is testing the Whiteboarding/sharing content from the Surface Hub to the WebEx Meeting. The whiteboard from WebEx is not compatible with standard video – see the error below. So there you have it. 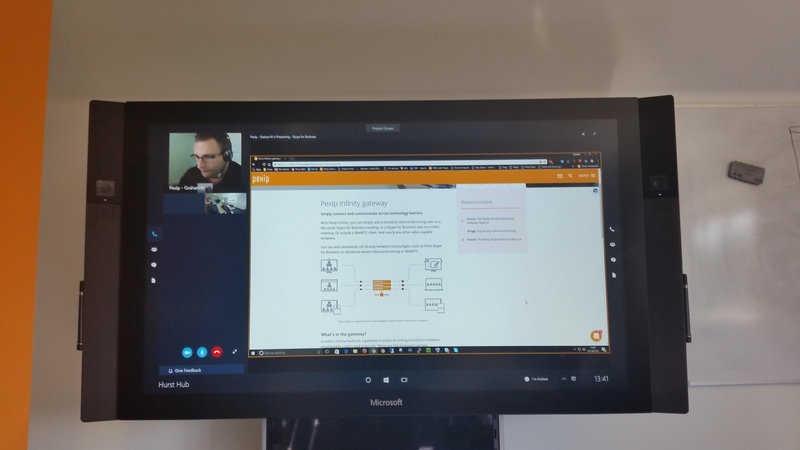 Bringing Skype for Business and the Microsoft Surface Hub into a Webex meeting is certainly possibly using the Pexip Infinity platform. 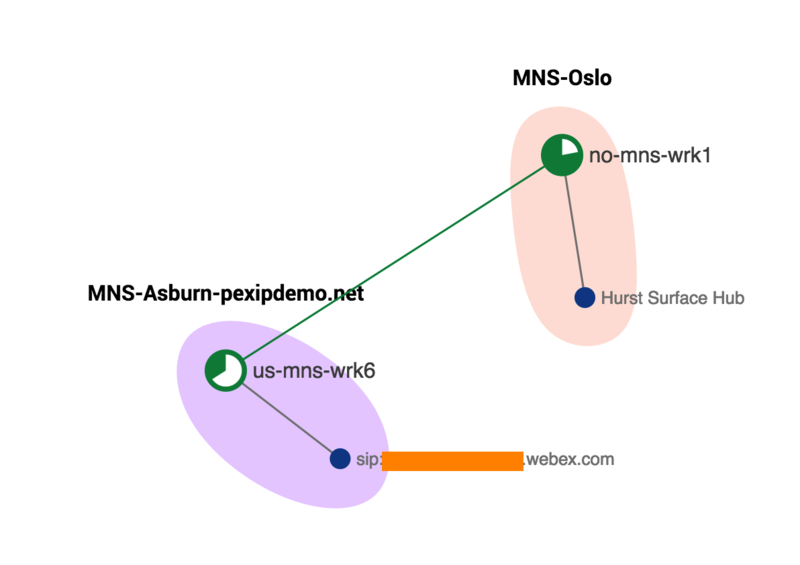 Using the platform as a simple gateway allows everyone to see their native format. 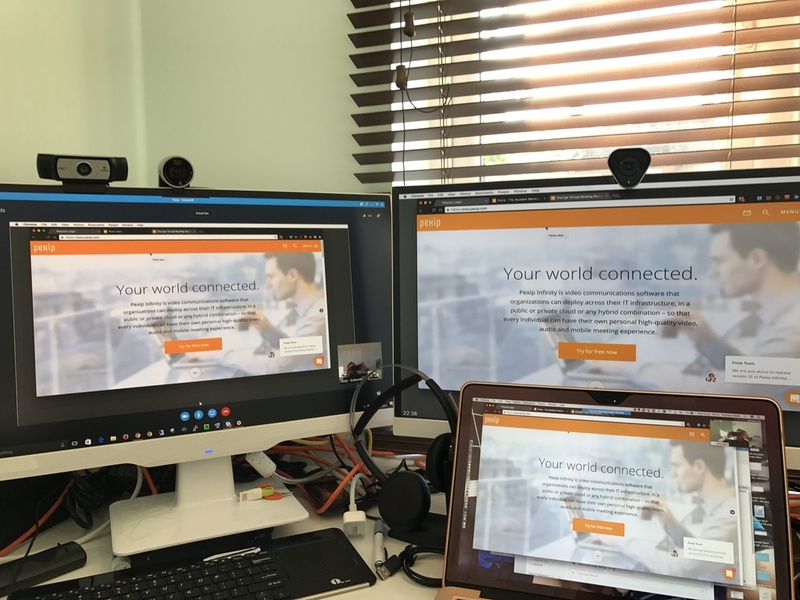 For further information on Pexip, just visit https://www.pexip.com or view the YouTube channel to see video demonstrations of the product in action. 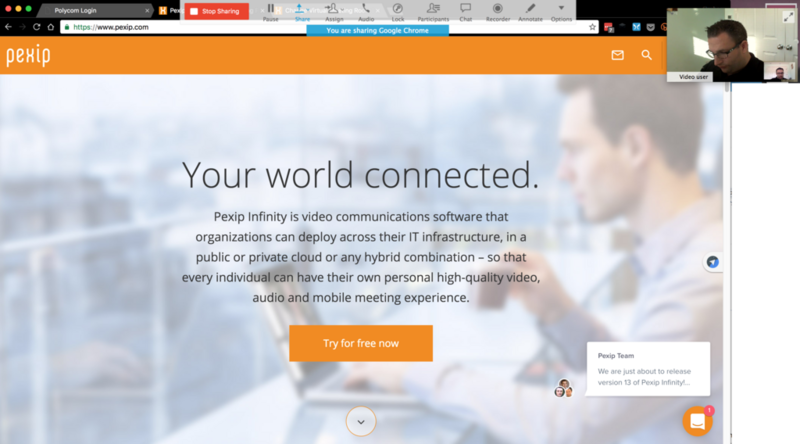 https://www.youtube.com/pexipinc. Alternatively, I have videos on my YouTube channel at https://www.youtube.com/grahammw.